New York City Writing Project – Encourage your students to apply for Bronx Loaf Writers Conference for Teen Writers! 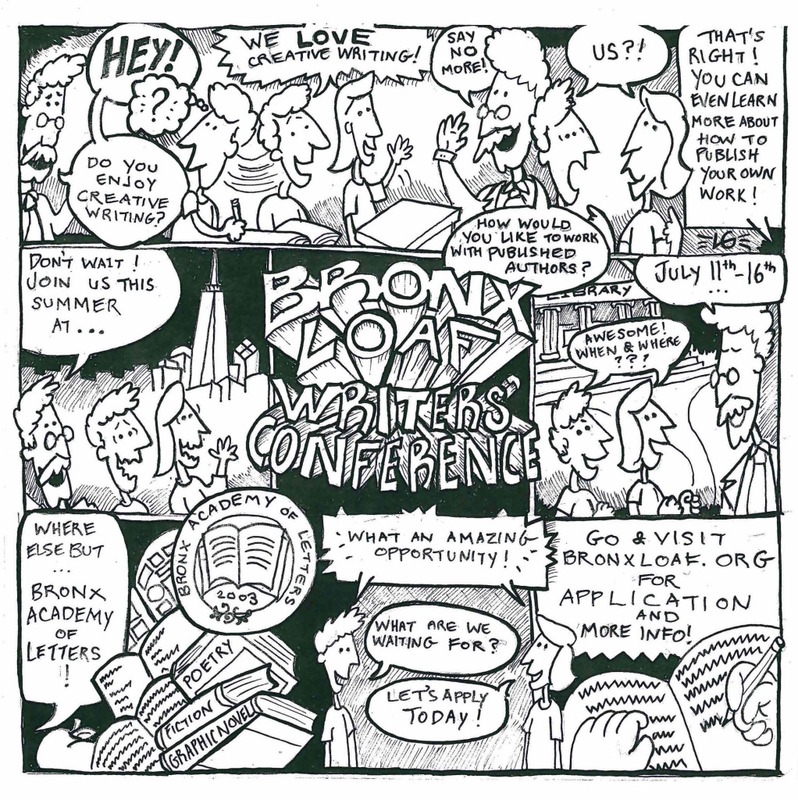 Encourage your students to apply for Bronx Loaf Writers Conference for Teen Writers! Bronx Loaf Writers Conference for Teen Writers is back! The program is now accepting applications for the 2016 summer session, which will run from July 11th–July 16th. Last year, 40 kids from 20 different schools from all five boroughs attended the conference. This year, maybe one of those students will be from one of your classes! Students–even those whose teachers never thought they liked school!–love creative writing and BronxLoaf.